Okay, maybe Karel Cruz isn't everybody's heart throb. But dang, when you're sitting across from him asking about his childhood in Cuba, and he flashes that impossibly white smile at you, well, you are hooked. Plus, he's a genuinely nice guy! So, I was delighted to hear that he'll be dancing with his wife, the equally heart throbby Lindsi Dec, in the Saturday January 31st evening performance of Alexei Ratmansky's "Don Quixote" at Pacific Northwest Ballet. If you've never seen him, Cruz is TALL: six feet, four inches, to be exact. And actually, that height is what landed him in the United States. 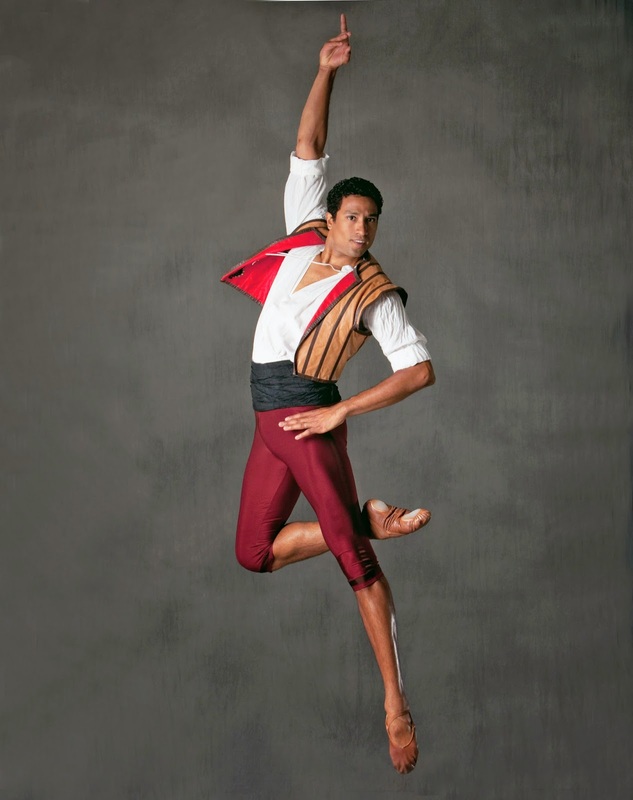 He was fired from a job in the corps at Ballet Nacional de Cuba. Cruz told me he just didn't blend in with the other corps members. It's kind of hard to blend when you're a foot taller than the ballerinas. His aunt got him a job in Venezuela, and when his dance company came on tour to the U.S., Cruz decided to check out job opportunities in Philadelphia. The Rock School at the Pennsylvania Ballet offered him a spot, and helped him with his visa applications. A year into his stay there, the school arranged for him to audition in Seattle, for PNB. That was 2002. Cruz is now a principal dancer with the company. PNB is known for its legion of tall dancers: former Principals Ariana Lallone and Stanko Milov, and current principals Laura Tisserand and Lindsi Dec, just for starters. Cruz told me he was well aware of the "tall dancer" reputation here; he says he couldn't take another heartbreak like the one he suffered when he lost his Cuban job. Cruz was sidelined with a knee injury most of last year. He rehabbed for months, and finally was back onstage last month. I caught him in the final performance of the Stowell/Sendak "Nutcracker," opposite Laura Tisserand. He looked to be in fine form. But take it from me, when he's partnered with his wife, Dec, they take the performance to a smokin' hot level.